Chatsworth, Ont., L.A. hosts a fundraising concert featuring songs of the world wars. 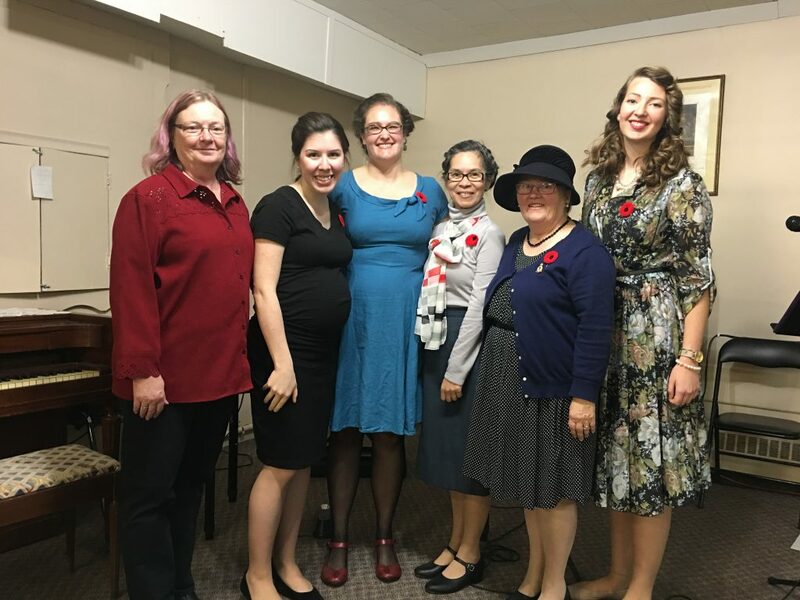 Ready to perform are (from left) organizer Bev Illman, pianist Bethany Matthews, soloist Kelda Mikalson, singer May Ip, story reader Anne Finlay-Stewart and singer Vanessa Bosman. The event raised $365 for the homeless veterans program.